What is Andropause? Andropause is characterized by the physical and emotional changes that occur in men as they age due to their bodies producing less and less testosterone. Unlike the well-known condition of menopause which occurs in women, andropause does not come on suddenly around a specific age. Instead it is a slow process that occurs at different ages for many men and continues to slowly drop as they continue to age well into their life. For some men, andropause can affect them so emotionally that it leads to what many call a “mid-life crisis.” Given that I practice in Encinitas, an area of San Diego County where there is a high male population, I see a lot of patients who are going through this. When Does Andropause Occur? Many men start the beginning stages of andropause in their forties or fifties, but even then it is estimated that only six to thirty percent of men feel symptoms in their fifties. 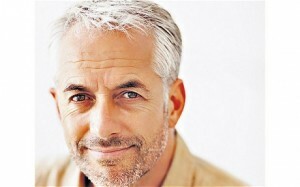 But the percentage of men who develop symptoms increases each decade into their lives after the age of forty. By the time men are into their seventies, about 90 percent have symptoms. It is different for every man and many cases of andropause go unchecked because the process is so slow and is often attributed to just aging. Nonetheless, in the beach areas of Encinitas, Carlsbad, and Del Mar—most men don’t feel very happy about these changes. Bioidentical Hormones—which are made of natural testosterone to replace the diminishing testosterone lost through andropause. DHEA supplements—a mother adrenal hormone, which the body then uses to make needed hormones that are diminishing. In the case of andropause, it is assumed the body would then use it to make testosterone. And reassessing levels of testosterone after a few months of taking the supplement could determine if indeed it is being used that way. Homeopathy—a like cures like approach to healing. There are a few homeopathic remedies for some symptoms of andropause. Herbs—there are herbs known to help treat some of the symptoms of andropause including improving sexual libido, energy, and mood. Nutrition—increasing nutritional supplements such as calcium and vitamin D can improve some of the symptoms of andropause including lower bone density. Diet—often times synonymous with nutrition—improving diet can help improve symptoms of andropause including energy levels, mood, bone density, and body mass changes. Lifestyle—decreasing alcohol and increasing exercise can be extremely beneficial to improving symptoms of andropause. These are just a couple of multiple changes that may need to occur in this category for my patients. If you are a man over the age of forty living around Encinitas and have one or more of the symptoms of andropause, contact me or stop by my office and I’ll be happy to help you.